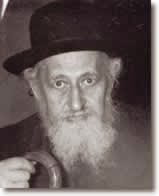 Why does Yaakov privately refer to Esav as his master? The Brisker Rov has an interesting analysis of Yaakov's instructions to his servants / address to Esav, where Yaakov says כֹּה תֹאמְרוּן לַאדֹנִי לְעֵשָׂו. This analysis differs, but falls in line, with something I heard from Dr. Steiner about the role of this phrase. Yaakov not only refers to himself as a servant within this text to be quoted to Esav. He also, in speaking to his own messengers, refers to Esav as his master. This is not something for Esav's ears, and yet he places Esav as his master. "וַיְצַו אֹתָם לֵאמֹר כֹּה תֹאמְרוּן לַאדֹנִי לְעֵשָׂו כֹּה אָמַר עַבְדְּךָ יַעֲקֹב -- And this requires explanation, why it states כֹּה תֹאמְרוּן לַאדֹנִי לְעֵשָׂו. This was, after all, what he said to his messengers, so why should he say "to my master?!" And what seems is that the word לֵאמֹר requires further explanation, for its meaning it "say to them", and if so, why should any further כֹּה תֹאמְרוּן etc. be necessary?! Didn't he already say 'say to him', when he said לֵאמֹר? And the conclusion compelled by this analysis is that they need to say to Esav as well the words "כֹּה תֹאמְרוּן etc. ", that he said to them that they should say to Esav. For so did he say to them "כֹּה תֹאמְרוּן לַאדֹנִי לְעֵשָׂו". And therefore he said לַאדֹנִי, since they said this to Esav, as I wrote." This is a nice analysis, whose conclusion -- that לַאדֹנִי לְעֵשָׂו was part of the message related to Esav -- I have encountered elsewhere with some very good backup. I'll get to that in a minute. However, I am not sure I agree with the details of the Brisker Rov's analysis. Specifically, I would argue that לֵאמֹר actually means "as follows", not (a command) "to say". It is true that Chazal often take לֵאמֹר -- perhaps midrashically -- to mean a command to say to others. (See e.g. Rashi on Vayikra 1:1) Thus, the famous vayomer Hashem el Moshe leimor is a command by Hashem that Moshe should say to others. And thus, when that is followed by a further command to say, then it is sometimes cause for midrashic discussion. But while that is an established way of interpreting leimor, I would argue that it means "as follows". If so, וַיְצַו אֹתָם לֵאמֹר means that Yaakov instructed the messengers as follows, and there is no repetition! If so, כֹּה תֹאמְרוּן can readily be his instruction to his servants, rather than a quoted phrase to repeat to Esav. As to why Yaakov would use the term "my master" to his servants, we could answer that he was indeed assuming a subservient role in his placation of Esav, and this was getting into character; or a way of impressing this idea upon the messengers who were to believe and deliver the message. However, in Dr. Richard Steiner's class -- I think it was in Galilean Aramaic, where we saw the Bereishit Rabba in question -- he presented us with a solution to this, along similar lines. That is, that לַאדֹנִי לְעֵשָׂו was part of the words quoted to Esav. I wrote this up in greater detail here, and used it to react to a claim by Speiser that this idea was against the trup and Chazal. אמר ליה רבי מפני מה אתה מבזה על כבודך? אמר ליה מה אנא טב מן סבי?! He (R Apas) got up and wrote: From Yehuda Nesia (the Prince) to our master the king Antoninus. He (Yehuda Nesia) got up and read it and tore it up. One could perhaps argue whether כֹּה תֹאמְרוּן should be placed as part of the quote or not, but certainly לַאדֹנִי לְעֵשָׂו should. In both cases, Rashi states that this is derech eretz to have two men to attend him. However, in Vayera, Rashi states explicitly that it so that if one attendant needs to defecate, which requires moving to a distance, the other can remain with him. Meanwhile, in Balak, Rashi appears to say that besides attending him, they are attending each other. [The bracketed text in English in the second Rashi is an attempted harmonization, rather than something explicit in Rashi.] This seems to indeed be a discrepancy. Our Rabbis taught: It once happened that two men [Jews] were taken captive on Mount Carmel, and their captor was walking behind them. One of them said to the other, 'The camel walking in front of us is blind in one eye, and is laden with two barrels, one of wine, and the other of oil, and of the two men leading it, one is a Jew, and the other a heathen.' Their captor said to them, 'Ye stiff-necked people, whence do ye know this?' They replied, 'Because the camel is eating of the herbs before it only on the side where it can see, but not on the other, where it cannot see.1 It is laden with two barrels, one of wine and the other of oil: because wine drips and is absorbed [into the earth], whilst oil drips and rests2 [on the surface].3 And of the two men leading it, one is a Jew, and the other a heathen: because a heathen obeys the call of Nature in the roadway, whilst a Jew turns aside.' He hastened after them, and found that it was as they had said.4 So he went and kissed them on the head,5 brought them into his house, and prepared a great feast for them. He danced [with joy] before them and exclaimed 'Blessed be He who made choice of Abraham's seed and imparted to them of His wisdom, and wherever they go they become princes to their masters!' Then he liberated them, and they went home in peace. The relevant portion of this tale is that the captive Jews reasoned that ahead of them on the road was one Jew and one gentile, 'because a heathen obeys the call of Nature in the roadway, whilst a Jew turns aside'. If so, for Avraham and his servants, the explanation of turning aside works. Meanwhile, from Bilaam and his servants, the explanation of turning aside does not work. This is a rather neat resolution. I suspect that, besides a bekius in Shas, the connection was aided by the proximity of Sanhedrin 104b, with this tale, to Sanhedrin 105a, which discusses midrashim about Bilaam, in reference to the events of parashat Balak. 1) Avraham went with Eliezer and Yishmael, and Bilaam went with two servants. The ones who would distance themselves in this scenario would be Eliezer, Yishmael and [not] the two servants. If so, the contrast is not between Avraham and Bilaam, but of their attendants. Still, this particular objection can be readily dismissed. Eliezer (as an eved kenaani) and Yishmael (as son of Avraham) would be expected to conduct themselves appropriately, distancing themselves when relieving themselves. 2) More to the point, when these Rashis speak of derech eretz for an adam chashuv, the idea is that this is conduct with dignity. Both Avraham and Bilaam momentarily abandoned that dignity, Avraham for zerizut for the mitzvah and Bilaam for hatred (see the Rashis in proximity). Yet here, in taking two attendants, they are conducting themselves with dignity. When the gemara in Sanhedrin speaks, in the tale, of the difference between Jews and heathens, in that Jews will turn aside while the heathens will defecate in the middle of the road, the point of distinction is that the Jews are conducting themselves with dignity. Bilaam, conducting himself as an adam chashuv, would not defecate in the middle of the road. What of the attendants? Do you really think it dignified for Bilaam to be attended upon by a servant while the servant defecates next to him on the road? 3) The wording of Rashi (drawn from Midrash Tanchuma) is מכאן לאדם חשוב היוצא לדרך יוליך עמו שני אנשים לשמשו וחוזרים ומשמשים זה את זה. That is, we, who are Jewish people, are supposed to derive a lesson of proper conduct for a Jewish adam chashuv from this. Would the midrash really, then, substitute a weaker reason (of them attending one another) which only is relevant to non-Jews? Some commentators note this discrepancy in Rashi and attempt to harmonize. For instance, see Siftei Chachamim on the Rashi in Balak, where the "attending on one another" is that one does the attending that the other would do, when one of them excuses himself to use the bathroom. Etz Yosef on the Midrash Tanchuma in Balak says likewise. This is a plausible harmonization, though one needs to force it into the words a bit. The simpler meaning is that the attendants attend one another. The man is so chashuv that even his attendants have attendants! I would rather not focus (for now at least) on the meaning of these two statements. Maybe one should harmonize, and Tanchuma means the same as what Rashi said in Vayera, and maybe one should not harmonize. ויקח את שני נעריו אתו. אמר רבי אבהו:שני בני אדם נהגו בדרך ארץ: אברהם ושאול. אברהם, שנאמר: ויקח את שני נעריו. שאול, (ש"א כ"ח) וילך הוא ושני אנשים עמו. "And he took his two young men with him. Rabbi Abahu said: two people conducted themselves with derech eretz, namely Avraham and Shaul. Avraham, as it is said 'And he took his two young men with him'. Shaul, (I Shmuel 28) 'And he went, and two men with him'." Note that Rabbi Abahu here does not reckon Bilaam as one who conducted himself with derech eretz. Bilaam is not on the radar. Neither of these two sources speak specifically about the reason for two attendants. Perhaps Rashi supplemented this himself. Perhaps he looked to the distance, and was indeed interpreting Tanchuma on Balak. I still would not leap to say that he drew this from Balak. Perhaps there is still some other midrashic source which states this explicitly. ושני נעריו עמו זה דרך ארץ, אדם חשוב היוצא לדרך, צריך שנים לשמשו, וחוזרין ומשמשין זה לזה. Note that Tanchuma on parashat Vayera takes no note of Avraham taking along two attendants. And don't complain to Rashi about discrepancies. Rashi in Balak did not say the explanation of an attendant distancing himself to defecate because he was citing Midrash Tanchuma verbatim. He would not have changed the midrash without cause. Perhaps one could complain to Rashi about his explanation in Vayera, but then, we don't necessarily have Rashi's source. "And Sarah laughed within herself, saying: 'After I am waxed old shall I have pleasure, my lord being old also?'" וְחַיֵּיכַת שָׂרָה, בִּמְעַהָא לְמֵימַר: בָּתַר דְּסֵיבִית תְּהֵי לִי עוּלֵימוּ, וְרִבּוֹנִי סִיב. כה,כב וַיִּתְרֹצְצוּ הַבָּנִים, בְּקִרְבָּהּ, וַתֹּאמֶר אִם-כֵּן, לָמָּה זֶּה אָנֹכִי; וַתֵּלֶךְ, לִדְרֹשׁ אֶת-ה. וְדָחֲקִין בְּנַיָּא, בִּמְעַהָא, וַאֲמַרַת אִם כֵּין, לְמָא דְּנָן אֲנָא; וַאֲזַלַת, לְמִתְבַּע אֻלְפָן מִן קֳדָם יְיָ. כה,כד וַיִּמְלְאוּ יָמֶיהָ, לָלֶדֶת; וְהִנֵּה תוֹמִם, בְּבִטְנָהּ. וּשְׁלִימוּ יוֹמַהָא, לְמֵילַד; וְהָא תְּיוֹמִין, בִּמְעַהָא. Within this list is ותצחק שרה בקרוביה, that she laughed with her relatives. This looks like a slight misspelling of בקרבה, just as לא חמוד אחד מהם נשאתי (a desirous thing, rather than donkey) looks like a slight misspelling of לא חמור אחד מהם נשאתי, yet is, according to this midrash, a deliberate change, even as the target translation was Greek, where such close spellings seem irrelevant. I would point out that ואמר להם כתבו לי תורת משה רבכם does not imply any translation. Perhaps Ptolemy was demanding a mere transcription of the Hebrew text, rather than a translation? "That he should not say that about Avraham He was not strict, as is written [Bereishit 17:17 when Avraham fell on his face and laughed on hearing the news, in Lech Lecha] 'he laughed', while upon Sarah he was strict. Therefore they wrote בקרוביה, to say that Avraham was [laughing] in his heart while she said it among her relatives. [And therefore He was strict..]"
"And if not for his words, once could suggest that they [the elders] changed this language because, in truth, it is difficult. For since she laughed internally, why should the verse state at all that she laughed? And in truth, in Midrash Rabba [?? I don't see it there], they sensed this, and said that with ruach hakodesh he [the malach?] knew that she laughed. And therefore they worried that Ptolmey would ask how they knew that, and the derasha of the Midrash Rabba that it was known via ruach hakodesh he would not have accepted. Therefore they wrote for him בקרוביה, such that she laughed in public..."
12 And Sarrha laughed in herself, saying, The thing has not as yet happened to me, even until now, and my lord is old. 12 ἐγέλασεν δὲ Σαρρα ἐν ἑαυτῇ λέγουσα Οὔπω μέν μοι γέγονεν ἕως τοῦ νῦν, ὁ δὲ κύριός μου πρεσβύτερος. So the change is missing.